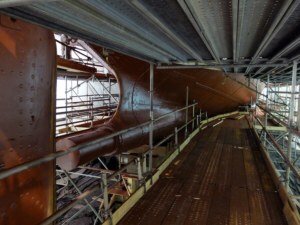 Here are some photographs to show that work is progressing on the ship. Trustee Carl Anderson was kind enough to share them. More will be posted soon.